To insure a successful installation and proper adhesion, GBM has compiled the following installation and setting material INSTRUCTIONS. GBM will not provide any guarantee implied or written for any product not installed in accordance with this information. This is a general installation guide and may not represent the specific installation guide of the product you purchased, for more details, please refer to the product specific installation guidelines. 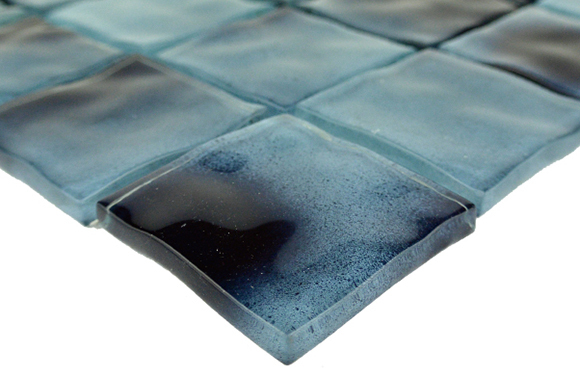 Due to the handmade nature of GBM glass tiles, variations in the shape, color, shade and tone should be expected. Please inspect each box prior to installation to verify lot consistency to assure acceptable shade variations. Do not use any setting compounds such as mastics or epoxies that contain petroleum distillates. Do not dilute admixtures with water. 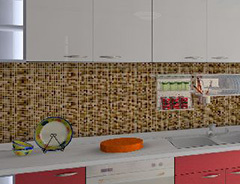 GBM glass tiles can be installed on interior or exterior wall surfaces in wet or dry locations. 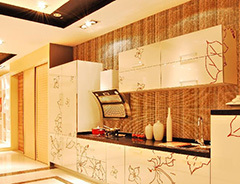 GBM glass tiles cannot be installed over flexible surfaces. They are not recommended for floor applications (unless indicated for floor use) and should not be exposed to extremely high abrasion, thermal shock or extremely heavy impact. 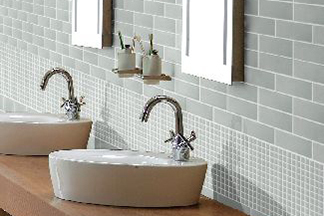 Although GBM glass tiles are designed to withstand a variety of potential hazards, carefully set your tiles before setting to avoid surface scratches or scraping the back of the tile with tools. Proper installation and use of materials is required to avoid stress on the glass. Proper installation requires that the substrate be dried and cured, and the walls be properly rendered. Most concrete cures in approximately 28 days, depending on atmospheric conditions and mix design. Be sure to follow the recommended cure times as indicated by the Tile Council of America handbook for tile installation. All materials should be used in accordance with manufacturers’ directions. We recommend using a High performance thinset mortar - glue applied - with a trowel 1/4 in. X 3/16 in. V-Notch Trowel. Respect the deadline before grouting according to the mortar / glue chosen. Please follow the mortar manufacturer's guideline for actual recommended usage and applications. 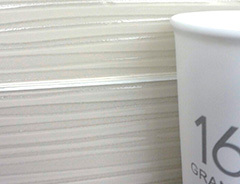 It is noteworthy that the risk of scratches is present when sanded grout is used (regular grout and epoxy grout) particularly on tile with shiny surfaces. Likewise, avoid abrasive products for cleaning. 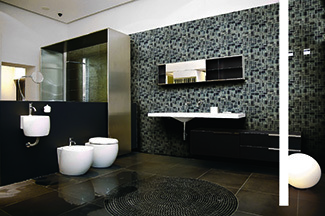 Certain GBM glass tiles can be used in wet areas. 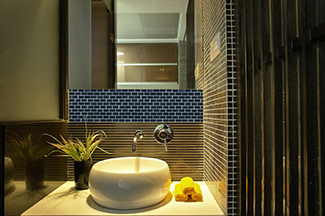 The proper installation of GBM glass tiles is critical to avoid stress on the glass. 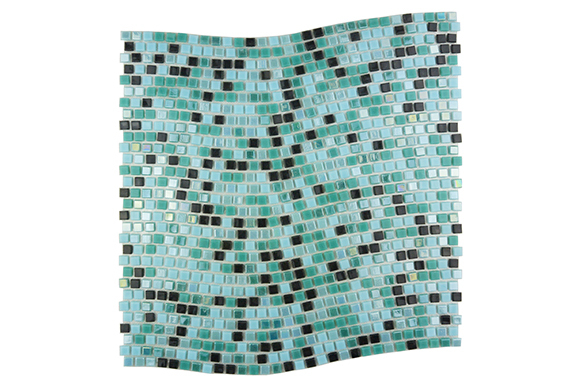 Look for pool rated tiles for tiles that are going to be installed in the wet areas. The easiest, fastest and best way to cut our glass tiles is with a simple glass-scoring tool and a straight edge. IMPORTANT! 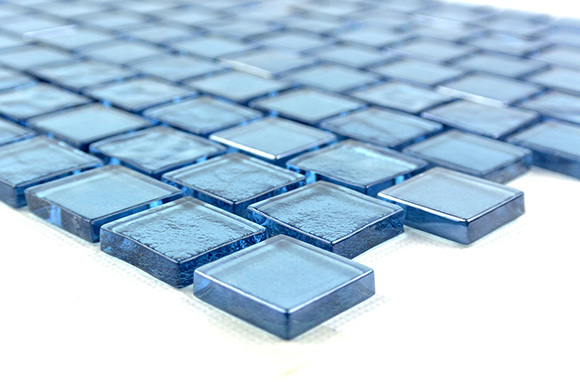 All cut edges on GBM glass tiles need to be embedded completely with the setting material. To cut, score the glass lightly on the front or unpainted side of the tile along the desired cut line and snap along the line. To snap the tile, place the tip of a tapered hardwood dowel, similar to the size of a pencil, directly under the edge of the scored line and place even pressure on both sides. Carbide wheel glass-scoring tools are available at nearly all hardware stores. A very useful and important tool for all glass tile installations is a pair of GLASS RUN PLIERS. Using glass run pliers allows the installer to easily cut and trim G.B.M. glass tiles. Cuts as thin as 3/8” or smaller are possible. Once the tile surface is scored, the score line is aligned with a white stripe on the top of the pliers jaw. Slight pressure applied to the pliers will snap the glass. When score cutting, be sure to use the Glass Run Pliers to affect the initial cutting of the glass. Then, while holding the tile face up, separate the tile with a downward motion allowing the cut edge to sever the tile membrane. GBM. glass tiles can also be cut with a wet saw. If using a wet saw, be sure to use a glass compatible diamond blade in good condition. 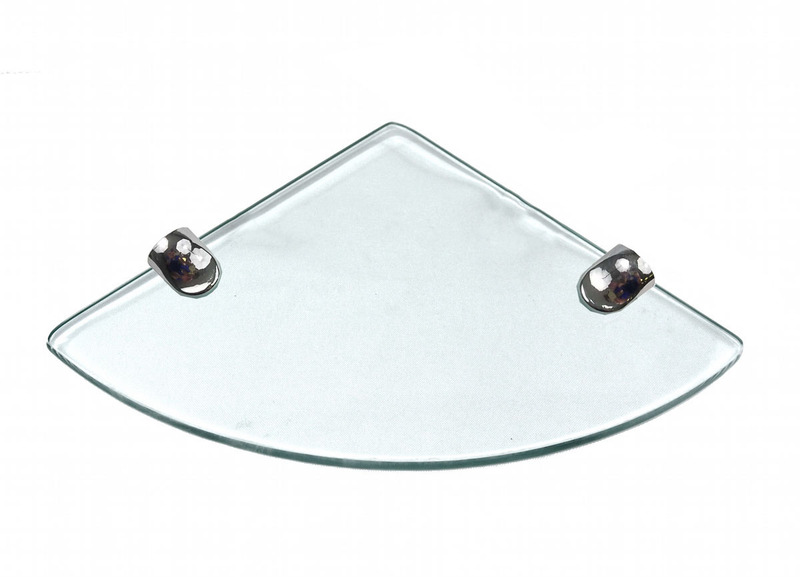 A blade for cutting glass has smaller diamonds than a tile blade and has a continuous rim. Most blades designed for ceramic tiles are coarse and will chip the glass. It is very important when cutting glass with a wet saw to have adequate water flow and to cut slowly. It is best to practice making a few cuts with regular 1/4” window glass before proceeding to cut the tile. A lapidary blade will also make a very clean cut on glass. When cutting glass tile on a wet saw, it is required to cut the tile face down. This will prevent chipping of the colored areas of the tile. A piece of electrical tape, masking tape or duct tape laid along the line of the cut on the tile face will greatly reduce chipping along the edge. A light piece of cardboard or building paper on the saw bed will protect the surface of the glass from scratches. All edges must be sealed with an epoxy grout system to ensure complete protection to the tiles. 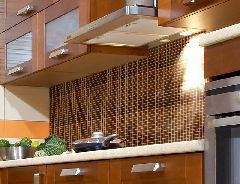 Edges of the cut tile can be chamfered with a diamond hand pad. Hand pads and related glass tile cutting tools are available through 3M Corporation as well as a variety of other glass tool distributors found on the Internet. Silicon carbide sanding belts may be used if the belt is dressed with a light coat of silicone spray. GBM glass tiles can be routinely cleaned with any non-abrasive cleaning compound or formula that is recommended for both glass and tile. Most day to day cleaning can be done with just a dry microfiber cloth. 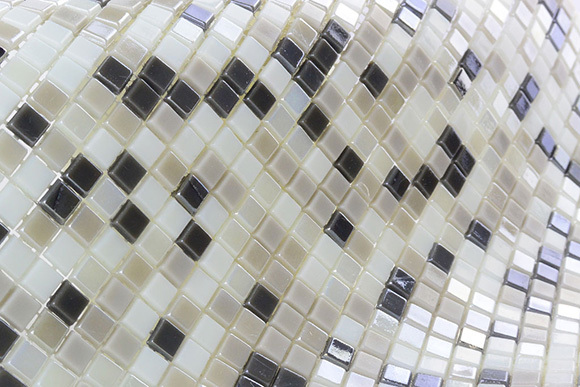 DO NOT USE acids to clean GBM glass tiles as it may scratch the surface of the tile. 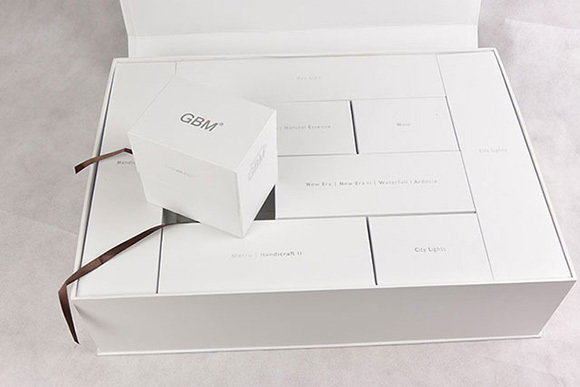 Limited Warranty: GBM is not responsible for any loss or damage as a result of workmanship not in accordance with these installation instructions. GBM’s sole liability, if any, is limited only to replacement of original product that has been proven defective. 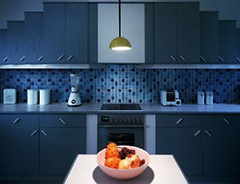 Purchaser will be required to provide proof of proper materials, use and installation.